Well, well, well, just when you thought (1) The Noise hasn’t presented a tour in a while and (2) your week was about to start without proper praise to the King of the Bottomless Pit (aka The Man of Sin, Beelzebub or otherwise known as Satan), we are extremely excited to announce our very next Noise Presents tour. Coming in as easily our most hellish Noise tour to date, this October we’ll be ringing in All Hallows Eve with none other than Satanic black/death overlords Behemoth alongside At The Gates and Wolves In The Throne Room. 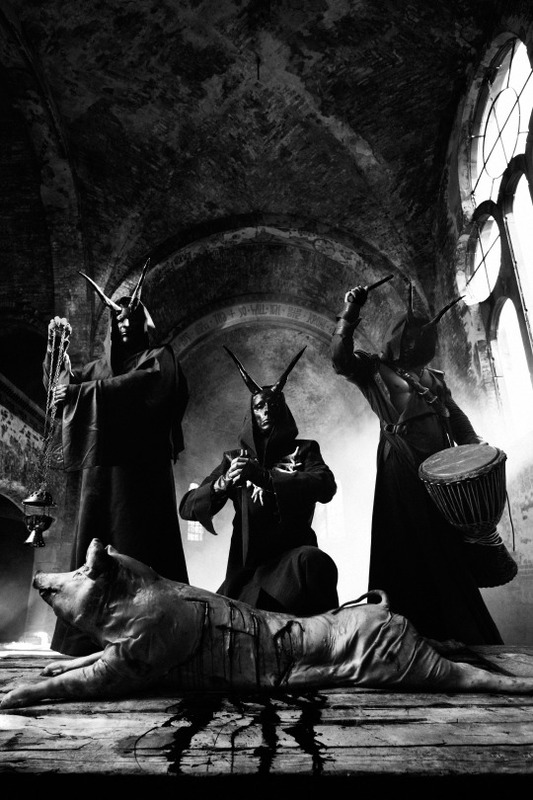 “I hereby announce Behemoth’s triumphant return to the North American shores this fall,” says Behemoth vocalist/guitarist Nergal. “We will be in the noble company of At The Gates and Wolves In The Throne Room, who will be supporting us on our 11th opus. Even though it’s only been a few moments since we played for you, our American legions, we can not wait for this tour to start! It’s gonna be the first headlining run supporting new music and we are bringing all the artillery, which means the biggest production thus far! Ecclesia Diabolica America 2018 e.v. arrives soon and we WANT you to celebrate this sonic pandemonium with us!" 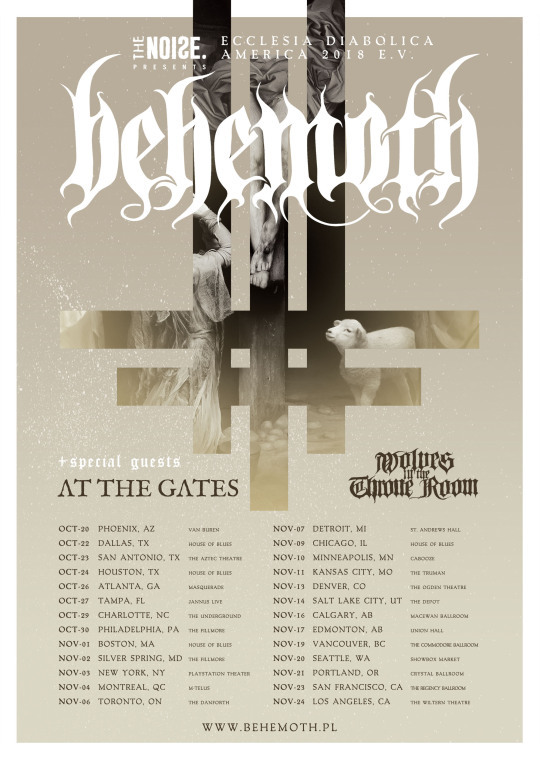 Kicking off October 20th in Phoenix, Behemoth’s 26-date trek will run through the US and Canada wrapping up November 24th in Los Angeles. Just in case you were wondering what At The Gates frontman Tomas Lindberg had to say about his band’s first support tour in over 20 years, the death metal icon said, "At The Gates have not done a support tour since 1996. When we got invited to this tour, we immediately saw the logic to the package. This is three bands with their own unique sound, three bands totally dedicated to finding the core of their art. Three important bands. It all made sense to us, and we are flattered to be part of this. I truly believe that this is THE ONE tour not to miss this year. Get ready to drink from the night itself together with us."